With the start of the American Revolution and military activities in the Champlain Valley, most settlers left this area because they were in the path of war and danger. 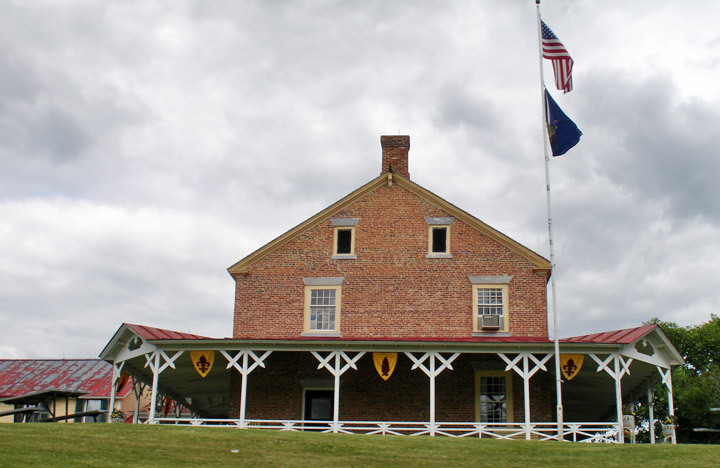 In the summer of 1776, as the northern American army made improvements to the old Crown Point fort, their engineer, Col. Jeduthan Baldwin, laid out some works on Chimney Point. Several regiments and Americans soldiers with small pox were stationed for a time on Chimney Point. The next summer, when General John Burgoyne and his British and German forces pressed southward on Lake Champlain as part of his plan to split New England off from the rest of the American colonies, Burgoyne stopped for a short time at Crown Point. German General Baron von Riedesel and his men camped at Chimney Point, where Burgoyne established a guarded depot for provisions and stores. 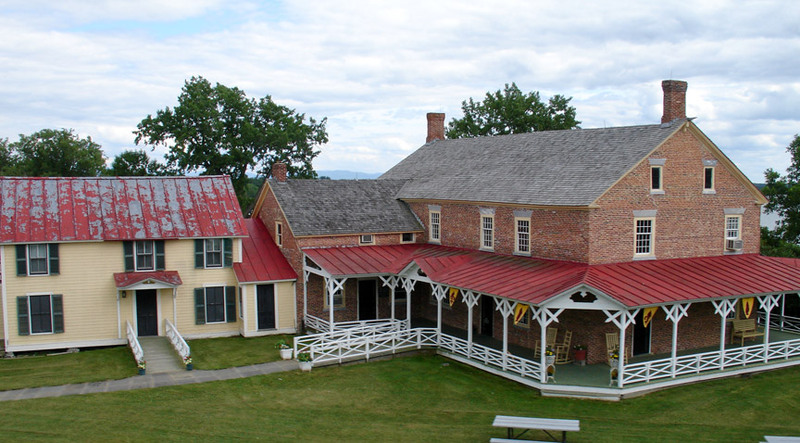 In mid-October, as the British were deciding whether or not to hold onto the captured forts of Ticonderoga and Mount Independence further south on Lake Champlain, they planned to set up a fortified camp at Chimney Point with two regiments, artillery, and supplies to maintain communication between Canada and the forts. 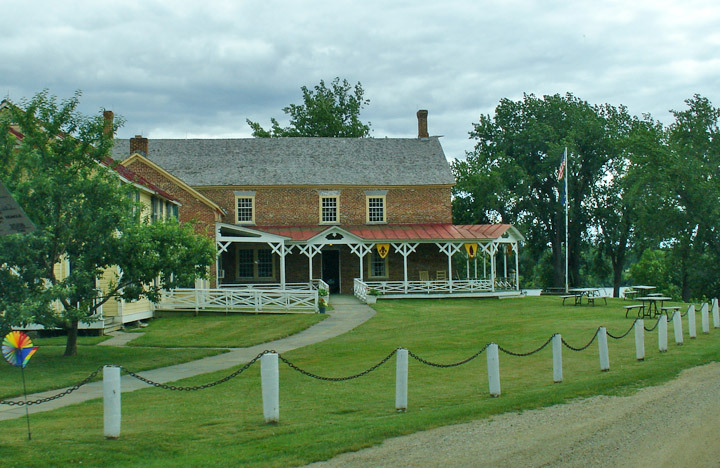 The main, two-story section of the Chimney Point tavern was likely constructed in the mid-1780s, after the Revolution was over and it was safe to live here again. The tavern was a welcome sight for weary travelers on the lake. County court was held here occasionally and in 1785 regular sail ferry service to Crown Point began. 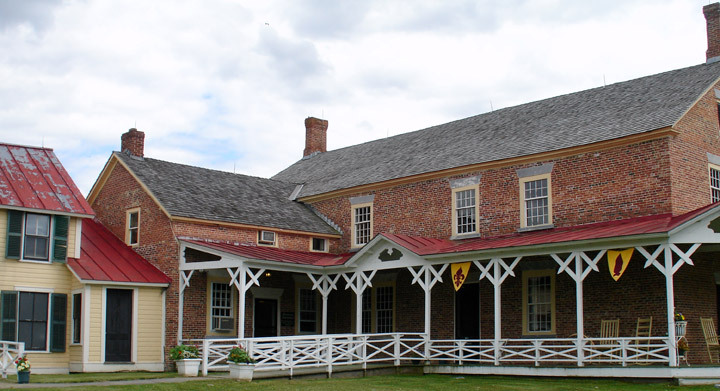 In May 1791 future U.S. presidents Thomas Jefferson and James Madison visited Chimney Point and were fascinated by many small red squirrels with black stripes. The brick veneer was added to the wood frame building in the very early 1800s and several additions were built. In 1821 Asahel Barnes, Sr., of Connecticut bought the property. He and his family made clocks and ran the tavern, a farm, and the ferry. A post office and store also were on the property, making Chimney Point an important lakeside commercial center.